Whenever we observe animals in the wild, we often do so to find out more about our environment and its inhabitants. However, a herd of moose have actually provided scientists with clues as to the origins of arthritis in humans, especially osteoarthritis. As part of a 50-year research project, the moose were observed and their behavior documented. These moose now have arthritis, and researchers speculate that the causes of their disease may be routed in poor nutrition starting from an early age. Combining the moose research with other recent studies about human arthritis has lead experts to the conclusion that osteoarthritis - the most common form of arthritis among humans - is much more complicated than previously thought. Before, osteoarthritis was thought to be caused by the general wear and tear of growing older. If you lived long, the reasoning went, and then you'd probably suffer damage to bones and muscles after prolonged use. Adding to the age factor, arthritis was said to be made even worse if you were overweight or obese. Furthermore, scientists have also established that genetic predisposition is at least partly to blame as well. Dr. Rolf Peterson, a scientist from Michigan Technological University heads the moose study, called the Isle Royale Project. Having begun in 1958, the project is allegedly the longest-running predator-prey study in history. For half of the year, Peterson and his team are the only humans allowed on Isle Royale, a small island in Lake Superior located between the states of Michigan and Minnesota. During this time, they closely observe every aspect of the moose's lives. Peterson had discovered upon analyzing several thousand moose carcasses that a very large portion of them - more than half of 1200 - had bones that were exactly the same as those found in arthritic humans. The researchers determined that since the arthritic moose were born during a time of great food scarcity and since their metatarsals were particularly small, which is a sign of poor early nutrition, these moose may have developed their condition since the time of their youth. In other words, arthritis in moose, and perhaps also humans, can have its beginnings in early childhood nutrition. "It makes perfect sense...Osteoarthritis starts way before the person notices it, way before their knee hurts or their hand hurts. It's very clear that we're going to have to starting looking back...at things in the early life course." 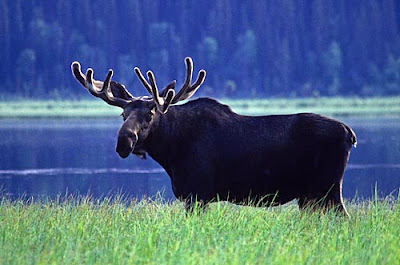 While there is still much to be discovered and learned about arthritis, the moose study demonstrates just exactly how helpful our animal brethren can be when it comes to digging deeper into our own bodies. This guest post is contributed by Angelita Williams, who writes on the topics of online college courses. She welcomes your comments at her email Id: angelita.williams7@gmail.com..
Why is Cloned Meat So Hard to Swallow?